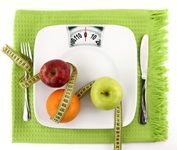 When it comes to weight gain or weight loss, the first thing that often comes to mind is calories. Rational thinking suggests that if you’re eating more calories than you’re burning, weight gain should follow suit. Conversely, if you’re in a caloric deficit, you should lose weight. But how important is what you’re eating? The truth is you should be more concerned with individual foods linked to weight gain than simply how many calories you’re taking in. You may have heard the saying that you can’t exercise a bad diet away, and it’s completely true. If you’re hitting the gym hard every day in hopes it will offset the chips, pizza, and soda in your diet, you’re putting yourself at risk for disappointment as well as heart disease, type 2 diabetes, metabolic syndrome, high blood pressure and heart attack—not to mention continuing to expand your waistline. 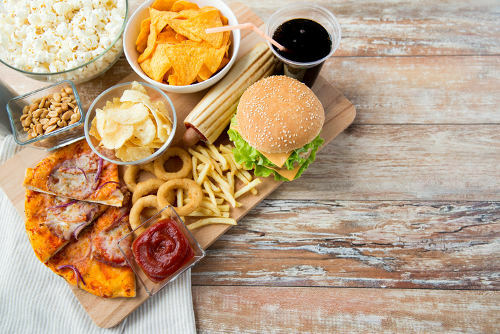 Processed and refined foods are most often linked to weight gain and obesity. Studies in both adults and children show that the more of these you have in your diet, the more likely you are to experience weight gain and increase your risk for a number of health conditions. Why Are American Waistlines Growing? According to the Centers for Disease Control and Prevention (CDC) 37.9 percent of Americans 20 and over are obese, while overweight Americans adults make up over 70 percent of the population (including obese individuals). These numbers continue to grow not in America and around the world. Lack of exercise, poor diet, stress, diminished sleep, and a number of other factors play a role in the growing waistlines, and it’s all having a huge impact on our collective health. Being overweight or obese is associated with a number of serious health problems such as coronary heart disease, stroke, and cancers of the breast, colon, kidney, gallbladder, and liver. But there are other factors at play, too. For example, a large percentage of farm subsidies go toward foods that play an instrumental role in diminishing American health. For example, a 2013 study found that since 1995, $300 billion in agricultural subsidies has gone to create junk food. Most of these subsidies go to harvesting corn and soy, which show up as sweeteners like high fructose corn syrup— a cheaper version of sugar and other additives. Because of the widespread availability of these products and their low price, they are largely consumed by Americans. You may not believe it, but more government agricultural money goes into producing and selling Twinkies than apples, and you’re paying the price. The researchers responsible for the study identified potato chips as one of the most obesity-promoting foods. They’re very high in calories, low in nutrition, and provide very low satiety. A similar 2011 study of American adults came to largely the same conclusions; however, there were also associations with red meat and potato consumption. Notice the “good” foods are high in fiber and unprocessed. They reduce total food intake by creating longer-lasting feelings of fullness than their processed and refined counterparts, while reacting differently in the metabolism and providing ample nutrition. Sugary snacks and beverages can cause spikes in blood sugar and those calories may ultimately be stored as fat. While whole grains and fruit contain sugar, the presence of fiber nixes the blood sugar spike and helps slow the absorption of sugar. Therefore, it’s transported to cells instead of stored as fat. Calories are not created equal. The foods that make up your daily caloric intake play a more important role in your health than the amount of calories you eat. Many of foods linked to weight gain are the same ones associated with chronic illnesses such as type 2 diabetes, heart disease, and metabolic syndrome. The lack of nutrition in these foods, along with high sugar content and the absence of fiber, contribute to a number of conditions that can shorten your life. Building your diet around lean, unprocessed proteins and plant products like vegetables, nuts, legumes, fruits, and whole grains can help encourage weight loss and reduce the risk for the conditions mentioned above. Including more of these items into your diet is highly recommended and can be done rather easily by sticking to the perimeter of the grocery store. Unrefined, unprocessed items are often found along the perimeter of the store, while calorie-dense, nutrition-poor foods stock the aisles. If fresh fruit and veggies are too pricey or you find them going bad before you eat them, consider selecting the frozen options. Just make sure there are no added sugars. Is a High-Protein Diet Bad for Your Health? Khazan, O., “What Do Chubby Kids Eat?” The Atlantic, November 3, 2015; https://www.theatlantic.com/health/archive/2015/11/foods-weight-gain/413722/, last accessed March 6, 2017. Bierly, A., “Certain Foods Linked to Long-term Weight Gain,” National Institutes of Health, July 11, 2011; https://www.nih.gov/news-events/nih-research-matters/certain-foods-linked-long-term-weight-gain, last accessed March 6, 2017. “Obesity and Overweight,” Centers for Disease Control and Prevention, June 13, 2016; https://www.cdc.gov/nchs/fastats/obesity-overweight.htm, last accessed March 6, 2017. “For a Healthier Country, Overhaul Farm Subsidies” Scientific American, May 1, 2012; https://www.scientificamerican.com/article/fresh-fruit-hold-the-insulin/, last accessed March 6, 2017. Sankin, A., “Agriculture Subsidies Promote Obesity, Charges New Study,” Huffington Post, July 18, 2013; http://www.huffingtonpost.com/2013/07/18/agriculture-subsidies-obesity_n_3607481.html, last accessed March 6, 2017.